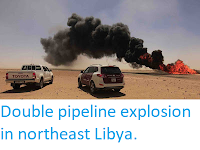 Sciency Thoughts: Arsonists target Libyan oil pipeline. A pipeline carrying oil from the Waha Oilfield in eastern Libya to the Mediterranean port of Es Sadir has been the target of an arson attack. 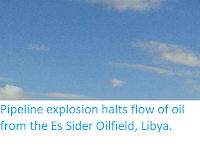 The pipeline was set on fire at an isolation valve on the El Zkout-Es Sider pipeline, roughly 21 km from Marada on Saturday 21 April 2017, and the fire was not brought under control until Sunday 22 April. 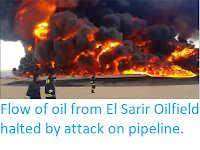 Repairs to the pipeline are expected to take several days, slowing production at the Es Sadir refinery by about 80 000 barrels (12 720 000 litres) per day. 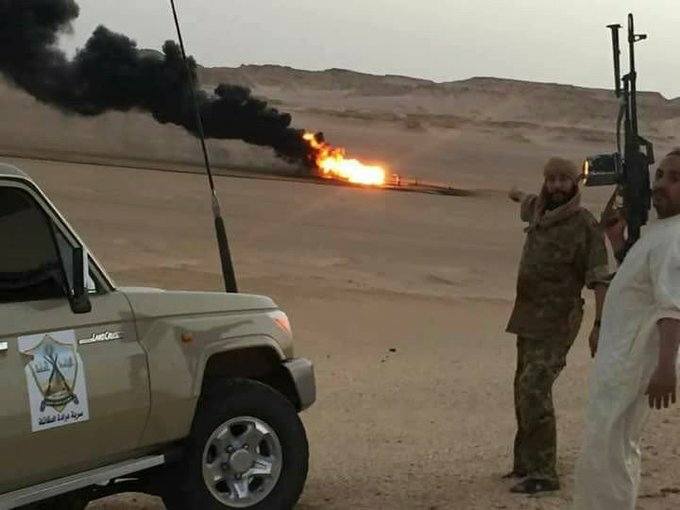 Burning pipeline near Marada in Libya on Saturday 21 April 2018. Libyan Observer. 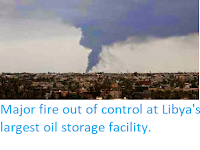 Libya has suffered a number of serious oil fires in recent years, caused by a combination of a decaying infrastructure, and deliberate attacks linked to political instability in the North African Country. 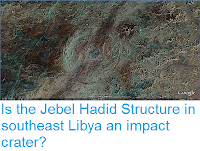 Fighting between militia groups has occurred sporadically since the overthrow of former leader Muammar Gaddafi, as the various groups that took part in the regime change had little in common and since then have been engaged in an uneasy truce with intervals of open conflict.